Normally one of the most ignored rooms in the home, the dining room moves to the forefront during the holiday season. As families all over the world prepare to host, entertain and serve meals, why not make your dining room look fabulous with a little inspiration from some of the ideas featured below? 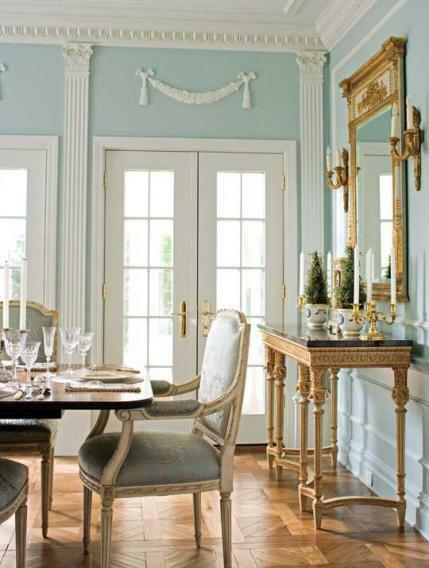 Let’s give our dining rooms the attention they deserve for the holidays! For the inspiration you’re looking for pay special attention to these well designed rooms. Notice the range of lighting fixtures from extravagant to simple elegance, the walls and how they are treated, color hues and the furnishings to die for, flooring, art, window treatments and accessories. These images have something for everyone’s style and I promise that you will be inspired! A fresh and vibrant take on this modern dining room featuring an oversized goat skin-framed mirror and chairs in hazelnut-colored leather with an exotic Macassar ebony wood table and venetian glass chandelier. Beautiful french blue wall color reproduction furniture ensures room is user-friendly. Marble topped console and gilt mirror in Louis XVI style. 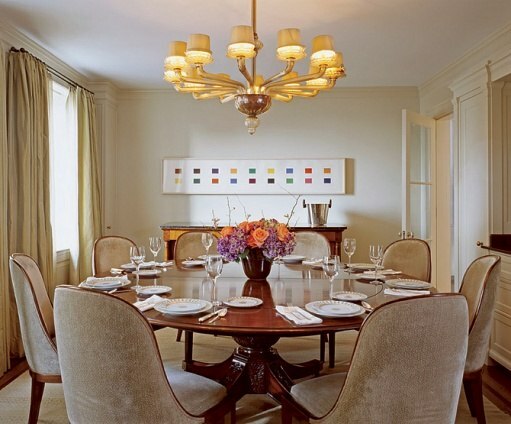 The circa 1900 crystal French chandelier illuminates the transparency of a custom designed lucite-base table. A 100 year old Louis XVI style gilt console table anchors the room. Handsome dining room with English oiled walls, Bee skeps-turned-fixture brings surprise with modern walnut table paired with early 1900’s Louis XIII style French dining chairs dressed in linen slipcovers. Aqua and cream grass cloth wall covering with shimmery gold ceiling creates heightened expectation with a grand chandelier. Intimate dining room with large vintage photo of New York City. Black chairs with cream colored seats. Silk tapestry unifies a collection of Albrecht Duree engravings. Collaboration with Richard Williams Architects. The neutral palette gives emphasis to an oil by Robert Kelly. 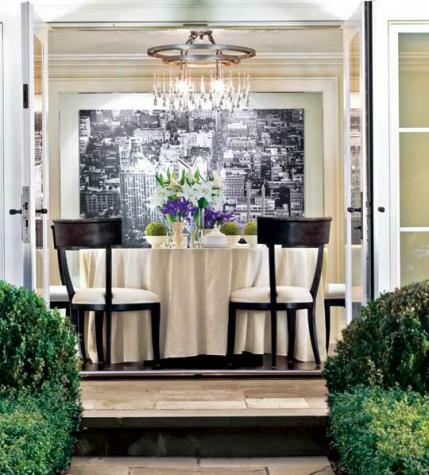 East Hampton summer cottage displays a casual and elegance mood. 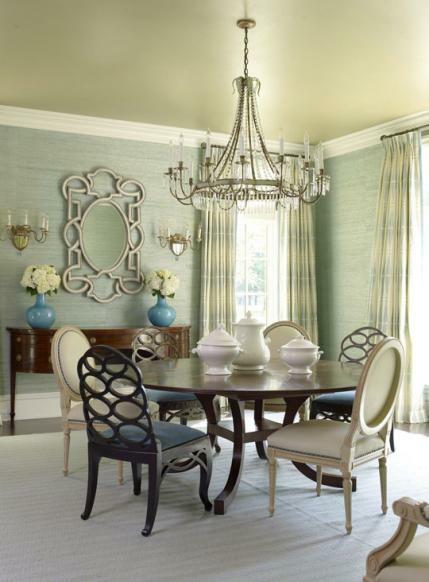 Transitional Dining Room by Mariette Himes Gomez. Mixing old with new, the circa 1825 side board with space-maimizing round table create a sophisticated space. Bucks County Pennsylvania Retreat designed by Penny Drue Baird. 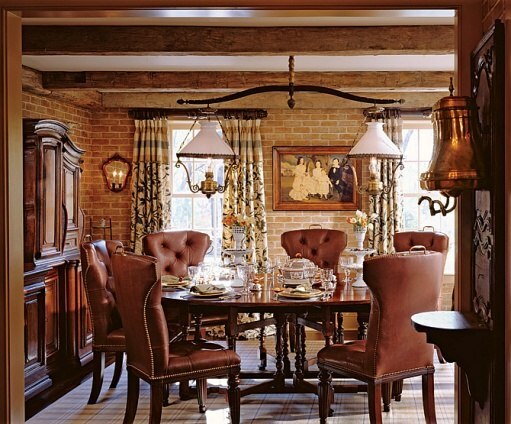 Handsome dining room retreat with elegant and rustic design elements. 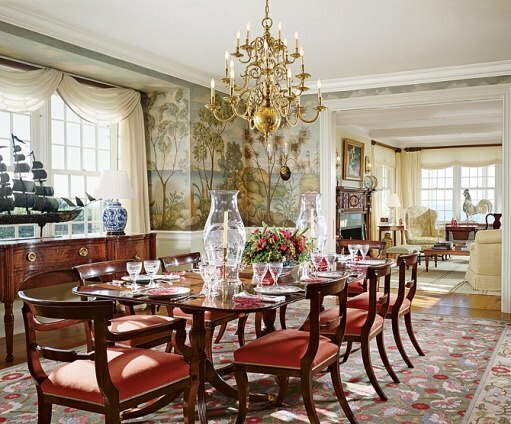 Dining room walls of this seaside retreat are hand painted scenic canvas by Chuck Fischer. 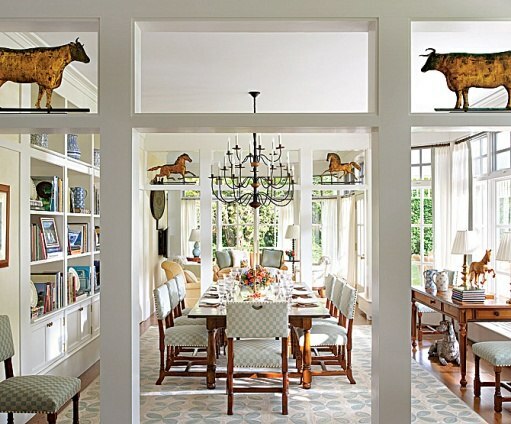 Lovely dining room and library for an author and historian creates a cozy and inviting space. 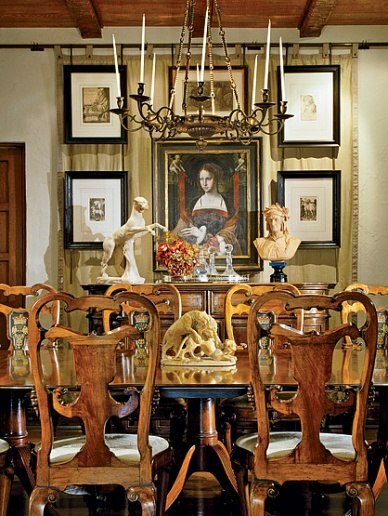 To view the entire collection of dining rooms please visit Architectural Digest and Traditional Home. May your dining room be filled with as much inspiration as the dining rooms featured in this article!